Ardha Chandra Chapasana is a standing Asana, which targets your hamstrings and quads. Sugarcane Pose is the enhancement version of “Ardha Chandrasana”. Ardha Chandra Chapasana is the intermediate to advanced level balancing Pose. “Ardha Chandra Chapasana” is derived from the Sanskrit word, in which Ardha – one part, half, Chandra – Moon, shining, Chapa – rainbow, bow, arc, and posture stands for the seat, Pose or Posture. Don’t be confused in Ardha Chandrasana & in Ardha Chandra Chapasana, The word Chapasana is added coz when you perform Sugarcane Pose your upper body takes the shape of bow or arc. So, that’s why Ardha Chandra Chapasana is named so. 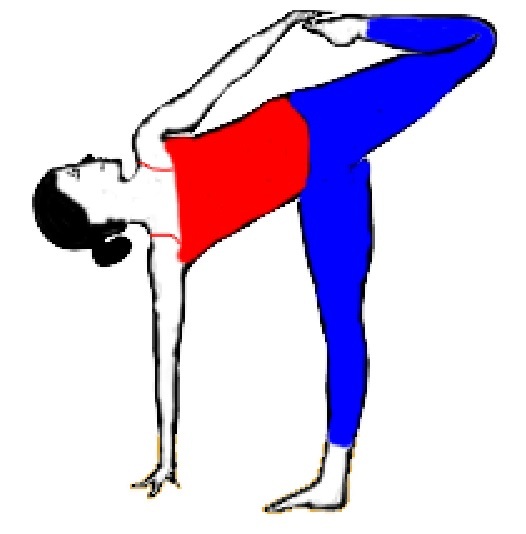 First of all, come into the position of Ardha Chandrasana (Half Moon Pose) your right leg along with left leg equivalent to the floor/ground. Now, you have to raise your left arm straightly towards the ceiling. After that, bend your left knee, at that point lower down your left arm to grab your left foot top from behind with your left hand. Now, place your left thigh just equivalent to the ground. Rising of the thigh will do during this if you can’t keep your foot parallel. After that, you have to draw your left foot towards your body along with your left hand. During this press into hand by your foot. 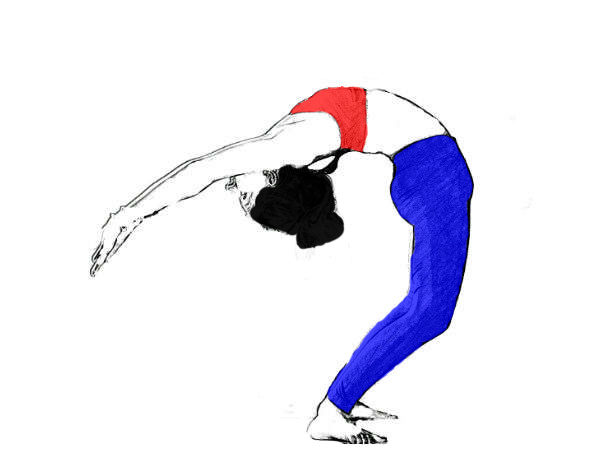 This will make an arc/bow shape in your spine, now turn the pose with a backbend. Remain in the Pose for 15 to 30 seconds. Now take your left foot back into the Ardha Chandrasana. Slowly take your left foot to the floor and follow the same steps with your alternate side. In case, you can’t reach the ground with your hand, for this take a block. 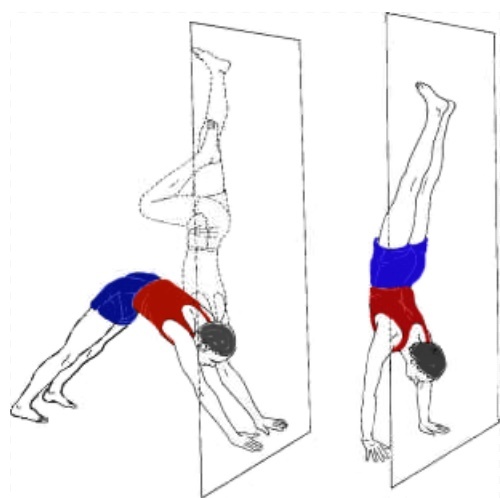 It’s good if you take the tallest block once your flexibility is increased take the shorter block till you reach the floor without using any blocks. You can also bend your leg for maintaining the balance. Ardha Chandra Chapasana activates your Manipura chakra and boosts self – worth along with self – esteem. It strengthens & stretches your spine, arms, core, legs, and opens your chest also. Sugarcane Yoga Pose improves your concentration level as well as your balance also. It gives you a sense of inner freedom. Sugarcane Yoga Pose easily kicks out anxiety, fatigue & stress from your mind. Ardha Chandra Chapasana makes your digestion better. It is beneficial in pain related to Osteoporosis, Sciatica. Sugarcane Yoga Pose gives relives in menstruation pain. Awesome for constipation, indigestion and in gastric related problems. Ardha Chandra Chapasana is a unique as well as the very challenging pose. So, you’ve to be mentally as well as physically strong for Sugarcane Yoga Pose. In case of neck injury (history of neck injuries) then avoid this pose and not to turn your head to look up (look straight ahead in neck injury). Also, avoid Sugarcane pose in thigh/knee injury. 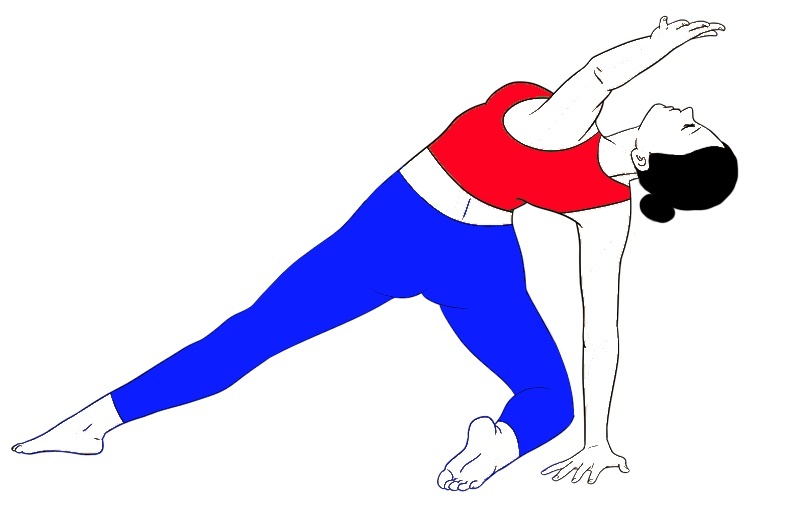 Only attempt Ardha Chandra Chapasana when you’re comfortable and stable in Half-moon Pose. Shift your weight on your leg, not your hand. At the final stage take 5 long breathes and then hold your breath with Asana for few seconds and slowly release your breath. After that, gently unlock your body. Remember one thing; Sugarcane Pose is not for beginners. Means, those practitioners who are easily and stably comfortable with a basic level of Asana can attempt this pose. Because practicing from basic level will make your foundation stronger for more challenging Asana. If you really want to master in Sugarcane Yoga Pose then, perform above mentioned Asana before the practice of Ardha Chandra Chapasana. When you’re comfortable in these Poses then go for it. Hi, I am Arahan Singh Dhami. I am a content writer as well as editor of Sarvyoga. I have Master's degree In Psychology along with Bachelors degree in Yog science from the University Of Patanjali Haridwar. Our motto is spread the knowledge of Yoga and other Health benefit tips in simple word. Hope you like our website.